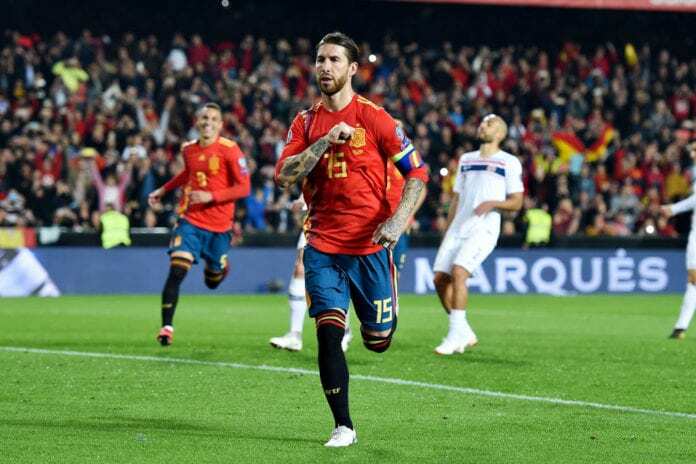 Spain got off to a winning start in their UEFA EURO 2020 qualifying campaign with a 2-1 victory over Norway on Saturday night. Luis Enrique believes Spain deserved to score five or six goals in the EURO 2020 qualifiers opener against Norway at Mestalla on Saturday night. Rodrigo Moreno scored the first goal for the Spanish national team, while the Bournemouth star Joshua King made it 1-1 in the 65th minute. Enrique’s side dominated the game, with 75% possession and 26 shots, with Atletico Madrid striker Alvaro Morata, who is on loan from Chelsea, missing a number of chances for the hosts. 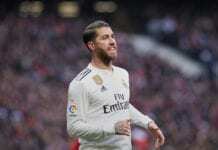 However, their captain – Sergio Ramos saved the day, after converting a ‘Panenka’ style penalty-kick to secure the victory for his country. It was his 18th goal for the national team. “You have to value all the positives from this team and Norway made it difficult and made us suffer until the end,” explained Luis Enrique via Sport. Luis Enrique finished by praising his squad’s worth ethic. “We’re happy with the attitude of our workers, who have worked hard all week, in order to generate the chances we did against our opponent. Spain and Norway are placed in Group F alongside Sweden, Romania, Faroe Island and Malta. The European champions from 1964, 2008 and 2012 are clear favourites in the group and are expected to book their place in the UEFA EURO 2020 without any major problems.